Foreign-trained health professionals put on path to practice in U.S.
■ Licensed in their home countries, many medical workers find only menial jobs in the U.S. One program helps them re-enter the field they love. Dr. Maria Angelica Montenegro practiced more than five years as a family physician in Colombia before moving to the United States in 2004 after her mother was diagnosed with breast cancer in a New York hospital. She looked into getting a U.S. medical license, but found the process complex and confusing. So she sold sunglasses and baby-sat to pay the bills -- all the while dreaming of the day she could return to her passion of practicing medicine. "I'm a doctor from my country, and I want to do it here. I love medicine. 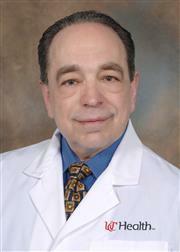 I love my patients," Dr. Montenegro said. "I don't care if I have to go to Alaska to practice medicine, I want to do it." Dr. Montenegro is among the unknown numbers of untapped foreign-trained physicians living in the U.S. Many are either unemployed or work jobs far below their education level. They are taxi drivers, delivery people, housekeepers and restaurant workers. There are thousands of examples, including a Russian physician who was working construction and a Yemeni doctor who was a parking garage attendant, said Dr. Jose Ramón Fernández-Peña, founder and director of the Welcome Back Initiative. The program helps foreign-trained health professionals enter the U.S. health care work force through nine centers nationwide. Since the initiative began in San Francisco in 2001, Welcome Back centers have helped 11,347 health professionals from 152 countries. Thirty-six percent of those are physicians, 42% are nurses, 13% are dentists and 9% are other health professionals. Many come to the U.S. hoping to re-enter medical practice but find the process difficult and take whatever jobs they can to support their families. Sixty-six percent of program participants aren't working in health care when they come to one of the centers, Dr. Fernández-Peña said. The loss of professional identity can be disillusioning. "They may be the only physician or social worker in their community," he said. "Then they come here and suddenly they are the janitor or the taxi driver. That weighs very heavily on a person." Dr. Fernández-Peña was a family physician in Mexico City before moving to the U.S. in 1985 to attend New York University, where he received a master's degree in health policy and management. He checked into getting a U.S. medical license. "What I found was a lot of conflicting information," he said. Now an associate professor at San Francisco State University, he has made a career in academics and administration. But along the way, he met many foreign-trained health professionals who expressed similar frustrations. "They had the skills. They had the language. They knew the population. They just did not have the American license," he said. "Nobody really knows where to start." Immigrant health professionals may face several barriers to obtaining a U.S. license, he said. The process often is confusing and time-consuming. "Most of our participants work two, sometimes three, jobs," he said. "They don't have the time or money to take extra classes to learn English or study for exams." Welcome Back centers offer help in many forms, including study groups, accelerated English-language classes, assistance navigating the steps to licensure, and financial aid for exams and study materials, said Manuela Raposo, director of the Rhode Island Welcome Back Center in Providence. Centers also link participants to volunteer opportunities at local clinics and hospitals to give them experience working in the U.S. health care system. Foreign-trained physicians wanting to practice in the U.S. must seek certification from the Educational Commission for Foreign Medical Graduates. That includes passing two steps of the U.S. Medical Licensing Examination. Once certified, they must complete residency training at a U.S. institution, regardless of their years of experience abroad. Those wanting to specialize also must redo specialty training such as fellowships. "That is something that is very difficult for some physicians, especially those who have been practicing for many years," Raposo said. Dr. Ericka Olivera, a student at the Rhode Island center, was a family physician in Colombia before moving to the U.S. with her fiancé in 2005. She has been unemployed since but is working toward her medical license. She has passed the first exam of the USMLE and will take two more exams in September. In the meantime, she volunteers at a free clinic that serves a largely Latino population. "Most of them don't speak English, so I can help with that," she said. The New York Welcome Back Center helped Dr. Montenegro get training and a job as a phlebotomist while she studies for the USMLE. She said it is difficult to relearn everything eight years after completing medical school. "You have to remember everything you do in your career," she said. While Drs. Olivera and Montenegro are determined to practice as physicians in the U.S., many foreign-trained doctors choose not to go through the rigorous U.S. licensing process, Dr. Fernández-Peña said. Instead, they pursue options such as becoming a registered nurse, respiratory therapist or physician assistant. Others go into academics or research. Of the 4,022 physicians involved with the Welcome Back Initiative, only about 100 have entered residency training. "Large portions pursue other options," he said. Welcome Back centers typically partner with community colleges or universities and receive a mix of public and private funding. The New York Center, for example, is funded by the New York Dept. of Small Business Services and the division of adult and continuing education at LaGuardia Community College. "In these challenging economic times, we are actively looking for funds to expand and sustain our services," said John Hunt, the center's acting director. "The community response has been overwhelming." In May, Dr. Fernández-Peña was honored by President Obama as a Champion of Change for his work with the initiative. The same month, he accepted the E Pluribus Unum Award from the Migration Policy Institute, a Washington-based nonprofit focusing on migration and refugee policies. "For us, this whole question of brain waste has long been an issue," said Michelle Mittelstadt, MPI director of communications. "These people are coming to this country already armed with professional credentials, and they are unable to use them." By helping health professionals become licensed, the centers help improve access to care in medically underserved areas and increase diversity in the health care work force, she said. "Having those who speak the language and have the cultural competencies is important," Mittelstadt said. "The health care system is already taxed and will be taxed even more as health reforms move forward. This is about taking advantage of the pool of people already in this country." The program has nine centers nationwide that provide assistance to foreign-trained health professionals seeking credentials to work in the United States. Foreign-trained health professionals YES can practice in U.S.A.
International medical graduates (IMGs) comprise one-quarter of the U.S. physician workforce. Certification by ECFMG is the standard for evaluating the qualifications of these physicians before they enter U.S. graduate medical education (GME), where they provide supervised patient care. ECFMG Certification also is a requirement for IMGs to take Step 3 of the three-step United States Medical Licensing Examination (USMLE) and to obtain an unrestricted license to practice medicine in the United States. ECFMG provides other programs for IMGs pursuing U.S. GME, including those that assist them with the process of applying for U.S. GME positions; and that sponsor foreign nationals for the J-1 visa for the purpose of participating in such programs. We offer a verification service that allows GME programs, state medical boards, hospitals, and credentialing agencies in the United States to obtain primary-source confirmation that their IMG applicants are certified by ECFMG. The ECFMG Certificate Holders Office (ECHO) provides support and service to ECFMG-certified physicians as they plan their medical careers. ECFMG partners with the National Board of Medical Examiners (NBME) in administering the Step 2 Clinical Skills (CS) component of USMLE, a requirement for IMGs and for graduates of U.S. and Canadian medical schools who wish to be licensed in the United States or Canada. Through this collaboration, ECFMG uses its experience in assessment to ensure that all physicians entering U.S. GME can demonstrate the fundamental clinical skills essential to providing safe and effective patient care under supervision. Through more than five decades of certifying IMGs, ECFMG has developed unparalleled expertise on the world’s medical schools, the credentials they issue to their graduates, and the verification of those credentials. ECFMG has expanded this expertise to include credentials related to postgraduate training and registration/licensure through its primary-source credentials verification service for international medical regulatory authorities. And now, through the Electronic Portfolio of International Credentials (EPICSM), we are bringing this expertise to individual physicians and the entities that license, train, educate, and employ them. ECFMG’s commitment to promoting excellence in international medical education led to the establishment of its nonprofit foundation, the Foundation for Advancement of International Medical Education and Research(FAIMER). FAIMER has assumed responsibility for, and expanded upon, ECFMG’s programs for international medical educators and ECFMG’s research agenda. Through FAIMER, ECFMG offers training in leadership and health professions education; creates and maintains data resources on medical education worldwide; and conducts research on international medical education programs, physician migration, and U.S. physician workforce issues. ECFMG is a private, nonprofit organization whose members are: American Board of Medical Specialties; American Medical Association; Association of American Medical Colleges; Association for Hospital Medical Education; Federation of State Medical Boards of the United States, Inc.; and National Medical Association. Thank you for calling CareFinders, the physician referral service for Good Samaritan Hospital. We were happy to assist you and hope you were satisfied with our service and ability to meet your needs. If you are unable to keep the appointment CareFinders made for you with a physician's office, please call ahead and cancel. ... As explained at the time of the calls, Good Samaritan Hospital operates this service for members of its active medical staff. There is no fee to the callers or physicians for this service; names are given on a rotating basis, with the final selection of physician(s) based on your needs and preferences. Then, the lady ( Theresa) called me from: Medical Records 937-734-8316 to say that she would telephone Dr. G's office to see what he needed.